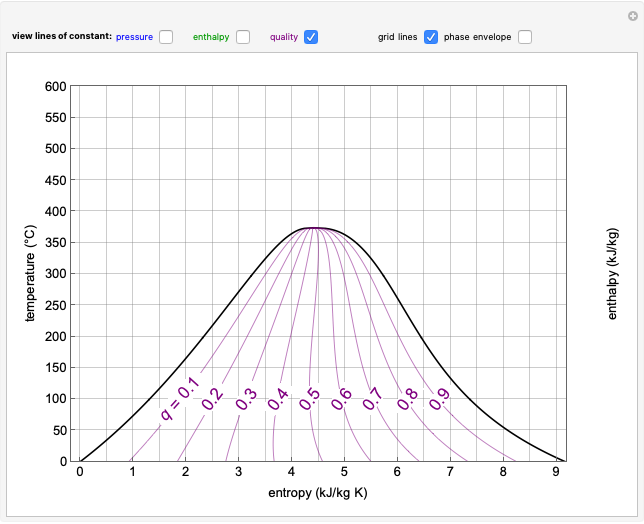 This Demonstration shows a temperature-entropy ( ) diagram for water. Use the checkboxes to add or remove a property from the diagram. 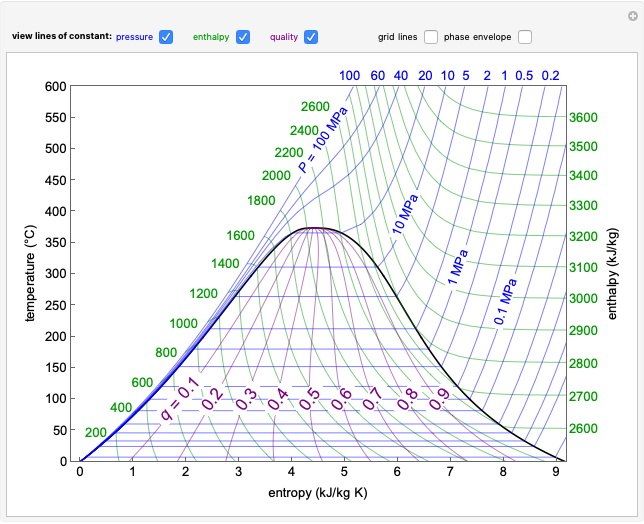 You can show lines of constant enthalpy (green), pressure (blue) and quality (mass% vapor, purple). 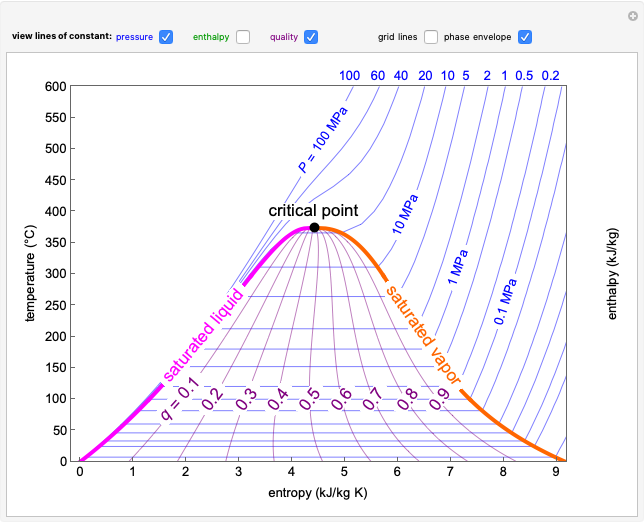 Check "phase envelope" to view the saturated liquid (magenta) and saturated vapor (orange) curves and the location of the critical point. 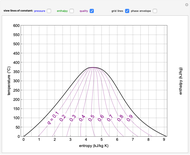 Check "grid lines" to display grid lines. See  for more information on how to read a diagram. 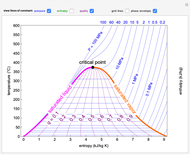 "Thermophysical Properties of Fluid Systems." 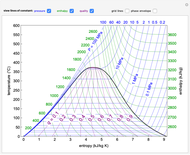 (Aug 11, 2016) webbook.nist.gov/chemistry/fluid. T-S and P-H Diagrams [Video]. (Aug 11, 2016) www.youtube.com/watch?v=10q0akdZ7QQ. Adam J. Johnston "Temperature-Entropy Diagram for Water"